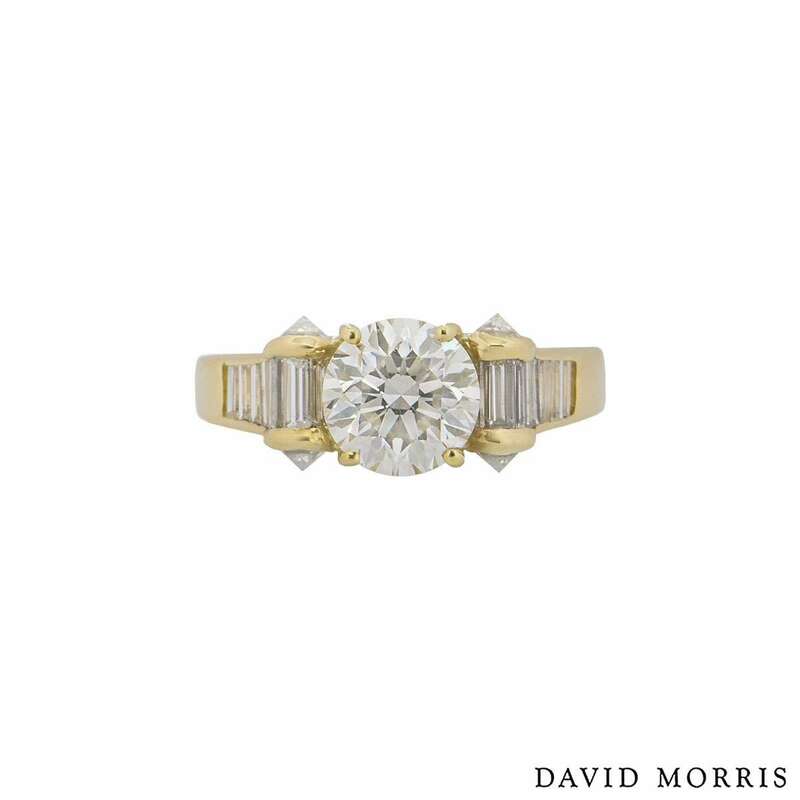 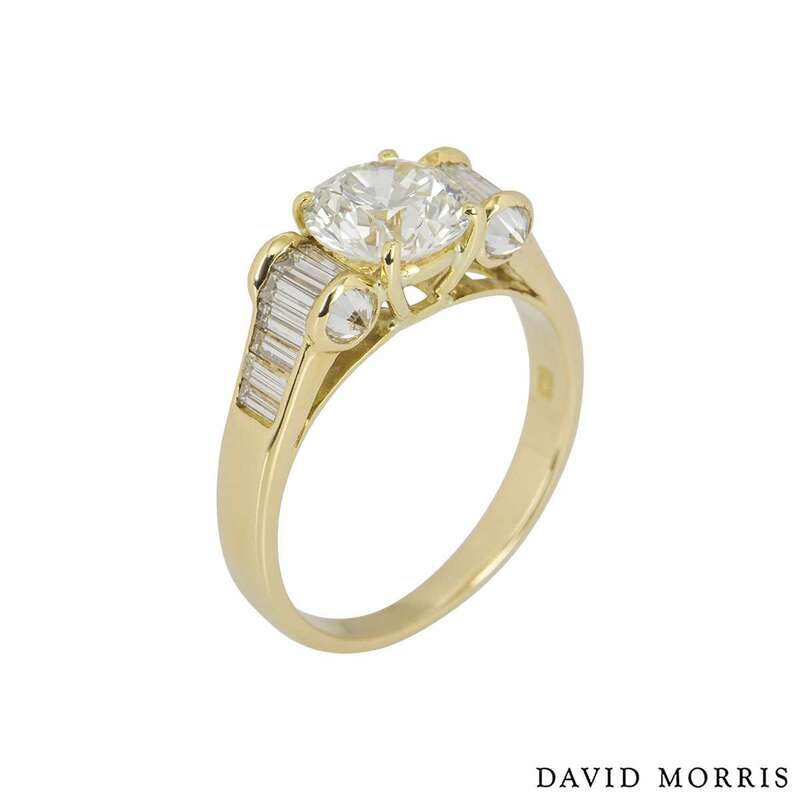 An 18k yellow gold diamond ring by David Morris. 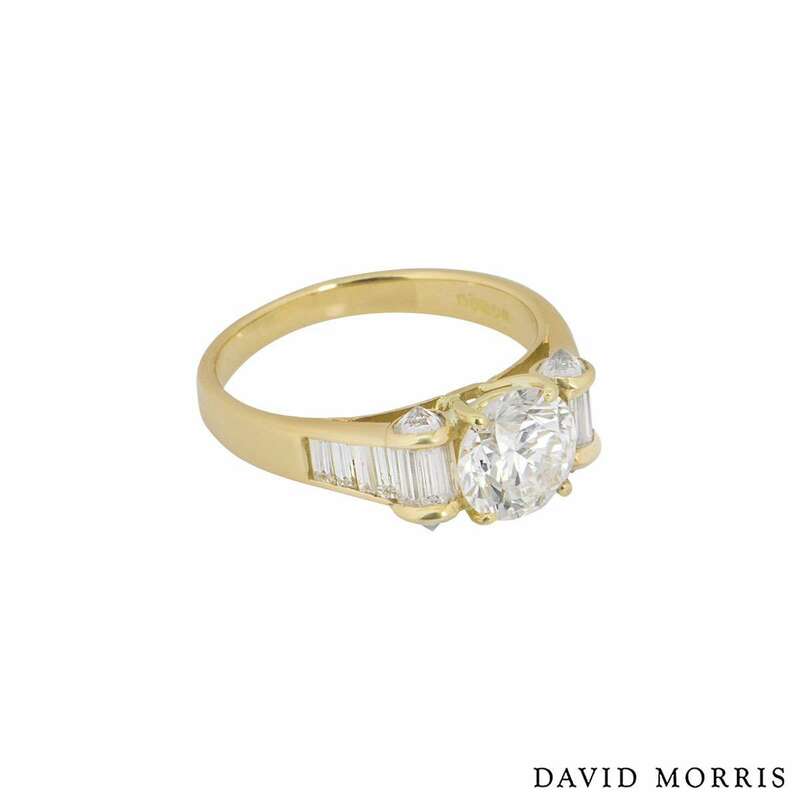 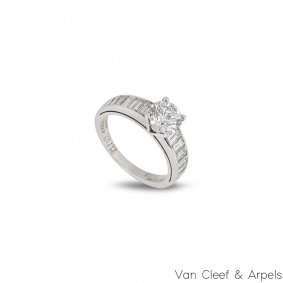 The ring features a round brilliant cut diamond in the centre with a weight of 1.40ct, H colour and VS1 clarity. 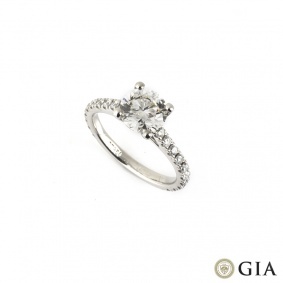 The ring has 7 baguette cut diamonds on either side of the central diamond totalling approximately 0.81ct. 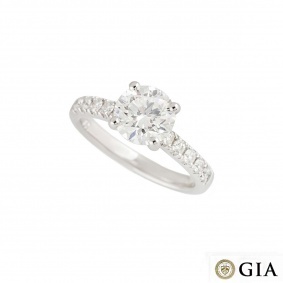 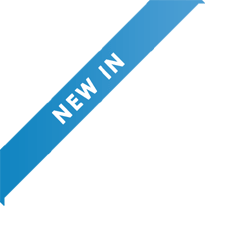 There are 4 reverse set round brilliant cut diamonds on each side totalling approximately 0.34ct. 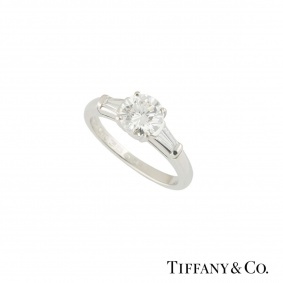 The ring is a size L and has a gross weight of 3.80 grams. 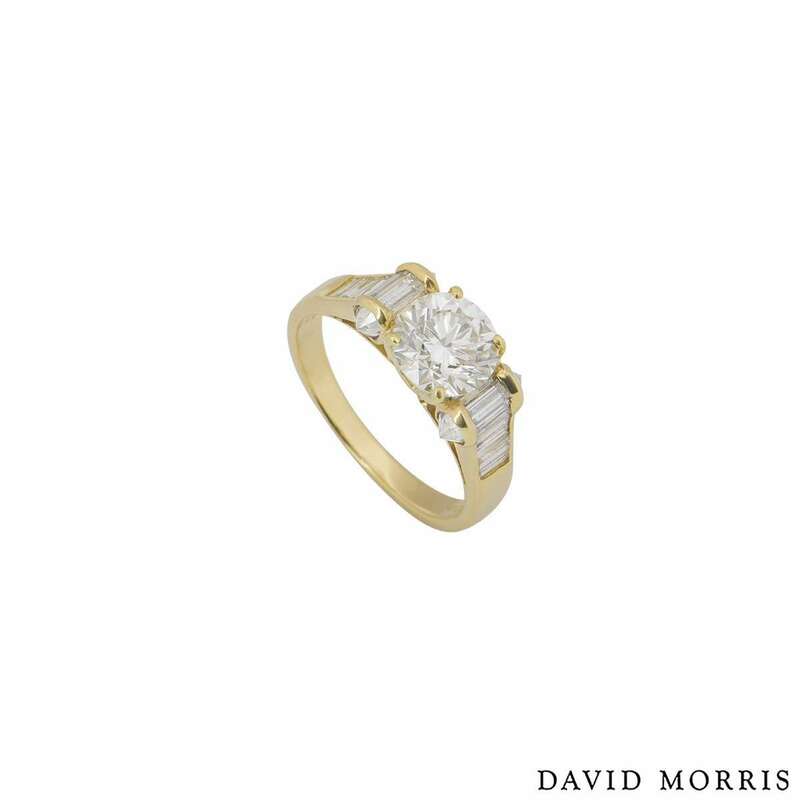 The ring comes complete with a David Morris presentation box, a copy of the sales invoice from Selfridges and GIA diamond report dated December 2018.